Maintaining the health of your vehicle will always be in your best interest. Cars that are taken care of generally outperform and outlast any vehicle that has not been. If something feels even slightly off in your vehicle, you should not hesitate to bring it in to Liberty Auto Center. At Liberty Auto Center, we offer a hassle-free experience that encompasses your entire vehicle. Your car will be serviced the first time correctly – that’s a guarantee! An older model vehicle may require extensive repairs to keep it on the road. Our expert technicians will diagnose any issues and come up with a clear plan of action moving forward. Regular tire inspection by a certified technician is vital to remaining on the road. No driver can prepare for a flat tire, a punctured tire, or a misaligned tire. All repairs we complete are in accordance with industry standards, and most tire repair service we offer is fast. When it comes to auto repair, a tune-up is essential to the health of the vehicle. Your engine and other components may begin to falter over time. This should be expected. 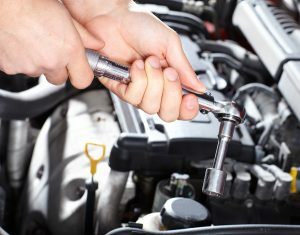 With this in mind, Liberty Auto Center technicians examine the whole engine, seeking out any problems plaguing the system. If your tire alignment happens to be off, your safety while in the driver’s seat may be compromised. This is something Liberty Auto Center simply cannot abide. Sometimes an unaligned wheel may be clearly visible. Other times, however, the issue is subtler. With proper alignment, your vehicle will run more efficiently. Your exhaust system plays a significant role in removing exhaust fumes from the engine, which keeps the car running efficiently. Built-up exhaust fumes may cause deterioration. If you hear a vibration when the car is running, or experience loss of power, have our expert technicians examine the exhaust system first. One of the most valuable auto repair services we offer is transmission repair. Everyone knows the transmission is an expensive replacement, which means keeping the system healthy is essential. When it comes to auto repair on your transmission, check for a burning smell, reduced fuel efficiency, or clunking and humming noises. Stepping on the brake pedal should have an immediate response from the vehicle. The hydraulic fluid rushes to each brake, applying the pressure necessary to slow the car down. Over time, the brake fluid may be compromised by contaminants or moisture. It is a good idea to have a Liberty Auto Center technician examine the brake system and exchange the fluid on occasion. When it comes to auto repair services, Liberty Auto Center has always put the customer first. We truly believe in offering affordable, quality customer service to every vehicle owner who steps through our door. For comprehensive auto repairs, contact Liberty Auto Center to schedule an appointment by calling at 240-686-6613 (Flower Hill) or 240-912-5625 (Redland). We would be happy to assist you.